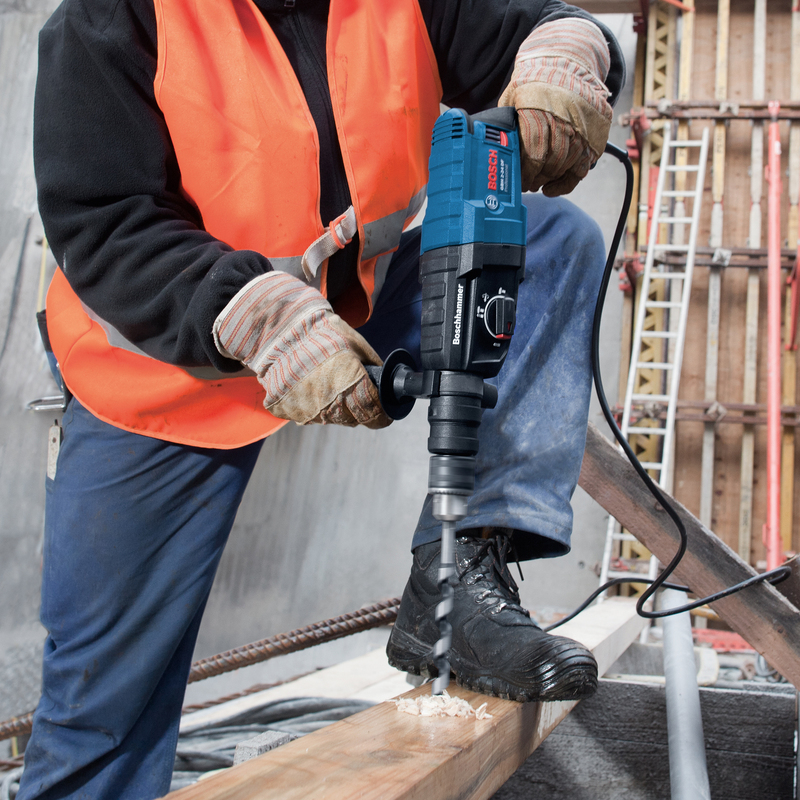 The Bosch GBH 2-24 D Professional SDS+ drill will get the job done with ease and satisfaction with the fast 4100bpm impact drilling rate from the powerful 790W motor producing an impressive 2.7 joules of impact energy. 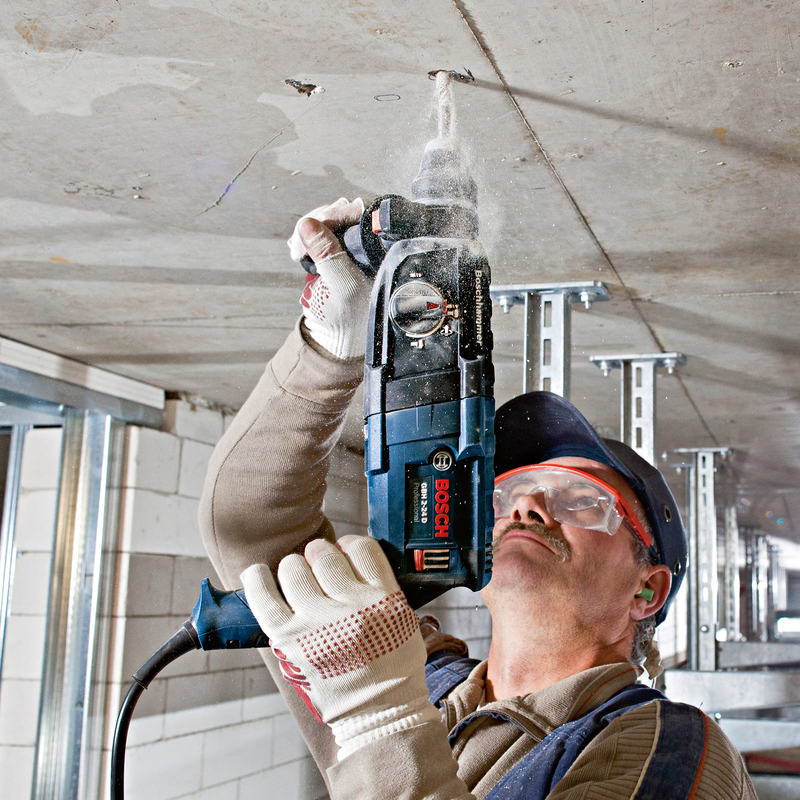 Intelligent construction with high quality components give the SDS+ drill a long and reliable lifespan. 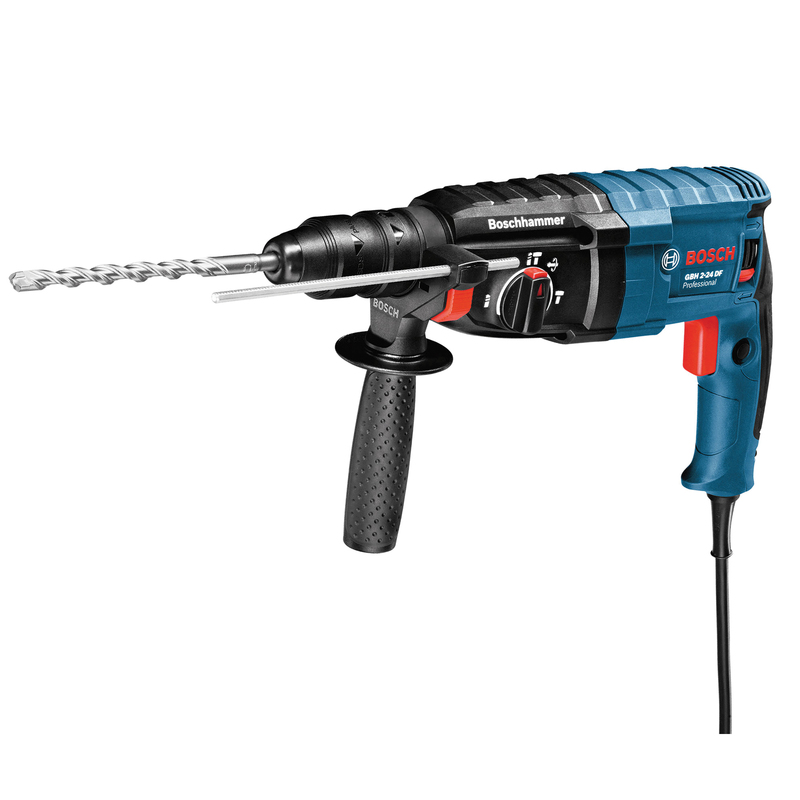 Wide range of applications with rotation stop for chiseling work, rotating brush plate for equal power in forward and reverse rotation & forward/reverse rotation for dislodging jammed drill bits. 3 Operation modes: rotary, rotary hammer and chisel action (hammer only). Reliable & robust with a long lifetime due to the high quality components & compact construction. 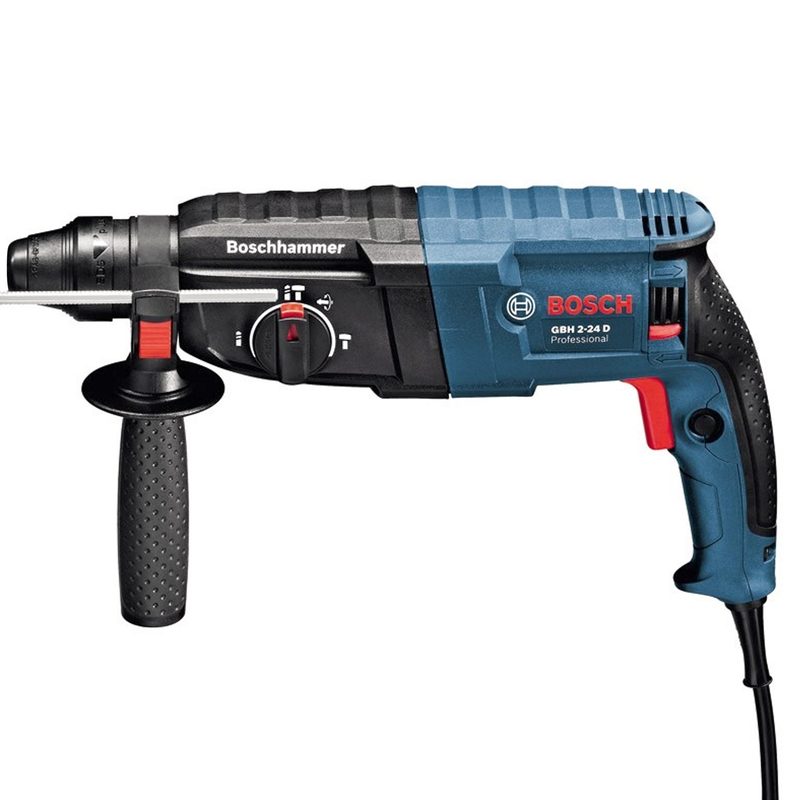 Safety features on the Bosch GBH2-24D with a ball grommet for preventing cable breaks and an overload clutch to protect you and the machine. 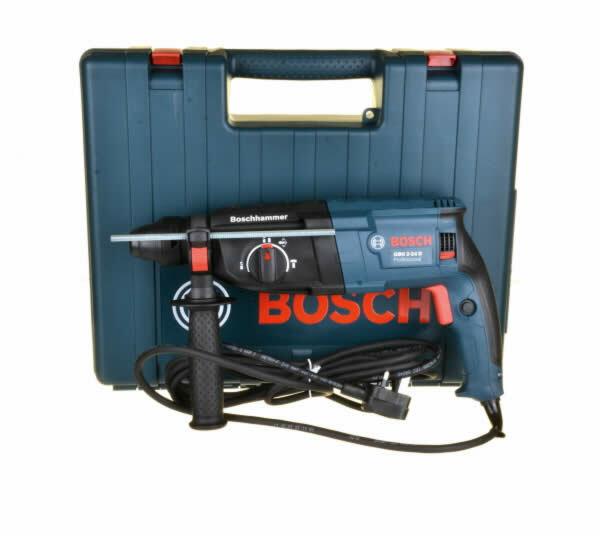 3 Year Extended Bosch Warranty. "Bought for removing tiles. A bit concerned as it was almost half the weight of my old (unbranded) unit. Very impressed. Did everything I hoped. Lightweight and comfortable to use. I'm looking forward to using it next time I've got curtains or blinds to put up (my battery drill really struggled last time)."